First appearing as a mysterious burglar and jewel thief, Catwoman is an enduring but enigmatic character, with several histories and fates within the DC Universe portraying her with varying degrees of evil and good. 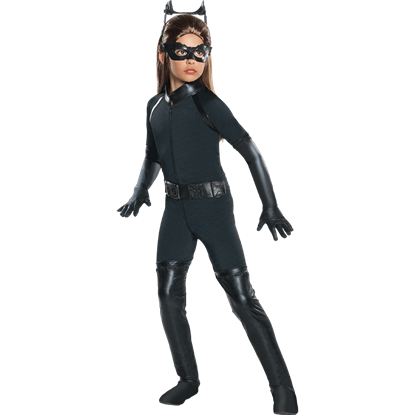 Most known for her femme fatale tendencies and slick black catsuit, Superheroes Direct provides fans with a variety of apparel and collectibles featuring the ambiguous Catwoman. 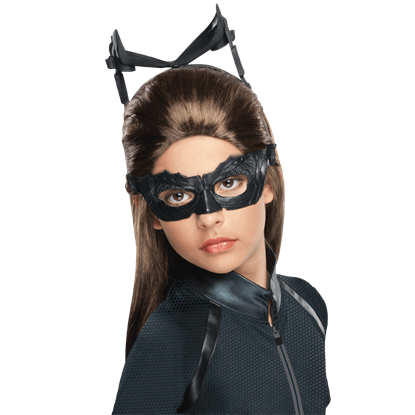 We offer various masks and costumes for both adults and children, perfect for transforming into Catwoman for a day. Let our t-shirts and accessories add some of Catwomans sleek appeal to any of your casual outfits. Our drinkware, busts, POP figures, playing cards, and more all make great collectibles to display in any superhero themed home. Fans who share much in common with Gotham cat burglar, Selina Kyle, will find that the Adult Catwoman Costume Corset is an essential addition for their cosplay closet. This attractive piece fits perfectly with a variety of looks. Accept the role of alluring cat burglar and create an unforgettable look of your own for Hallows Eve. The Adult Catwoman Sequin Skirt offers limitless opportunities for the fashion savvy fan of Gotham supervillain, Selina Kyle. Wherever this supervillain goes, she captures the attention of all with her feline prowess and alluring sense of style. 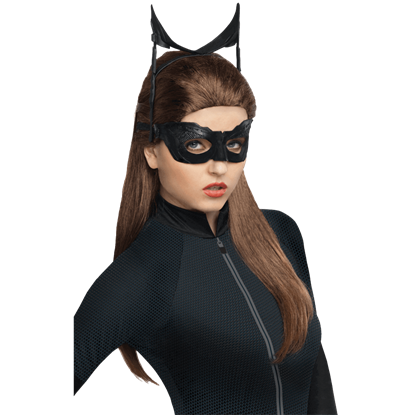 Follow the lead of the famous Gotham cat burglar this Halloween with the Catwoman Leatherette Corset Costume. While superheroes get most of the attention, sometimes the villains deserve interest, as well. 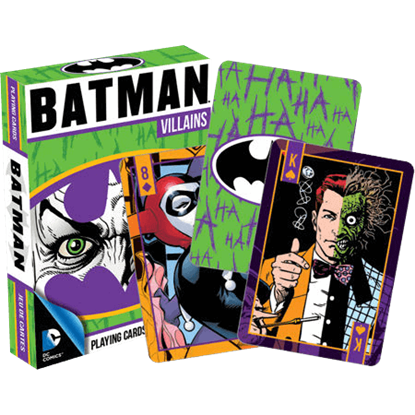 The DC Comics Batman Villains Playing Cards let you to show your support for the many clever enemies of the Dark Knight with a 52-card deck. 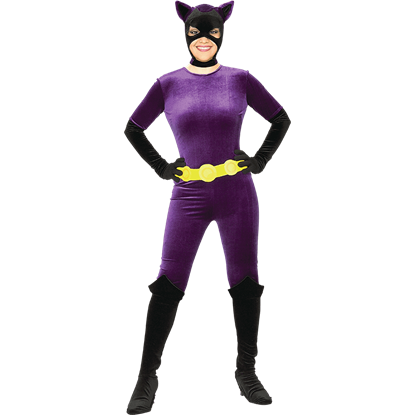 If you cannot get enough of your favorite lady superhero, then the Gotham Girls Adult Catwoman Costume makes the perfect choice for Halloween! 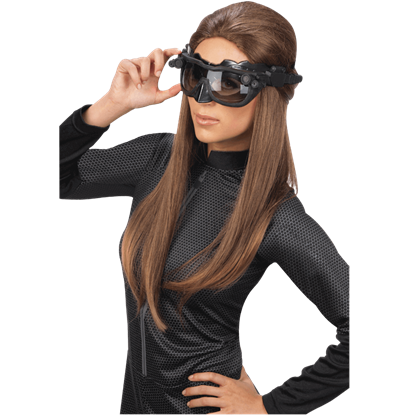 This excellent womens costume works great for costume parties and other themed events. Prepare the family for a night of fun and excitement. 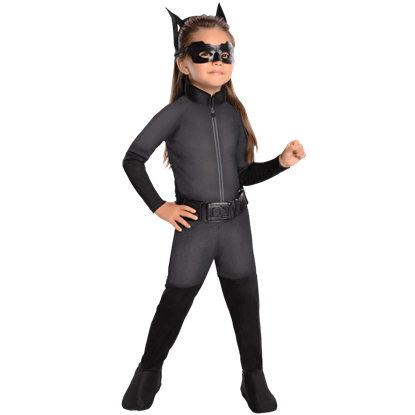 Oozing style and avoiding all tricks with feline prowess, your little cat burglar will enjoy taking on the Halloween scene with the Toddler Dark Knight Rises Catwoman Costume.